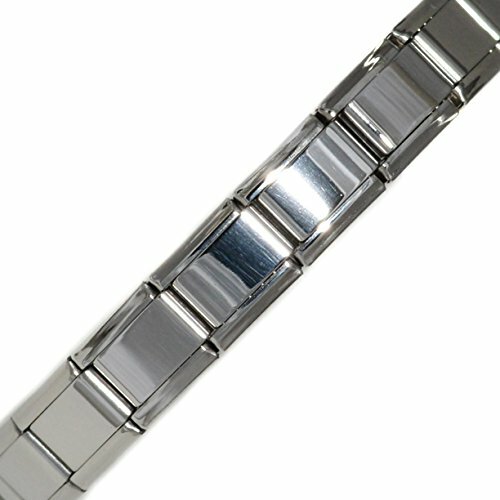 Dolceoro, High Quality Stainless Steel Italian Modular Charm Links Bracelet. This is standard size link which is 9mm high by 9mm width. The links have a spring mechanism and are interlocking. You may add or remove links to change it according to your wrist size. Dolceoro Italian Modular Charm Links are compatible and will interlock with all 9mm type Italian charms made by others. DVANIS Luxury Gold Plated Clear Crystal Swan Shape Bangle Bracelet 2.2"
Mother of Bride Gift, I Will Love Your Daughter With My Whole Heart And For My Whole Life Bangle, Wedding Keepsake Gift for Mother in law. 14k Yellow Gold Italian Four Dolphin Charms Bracelet, 7"